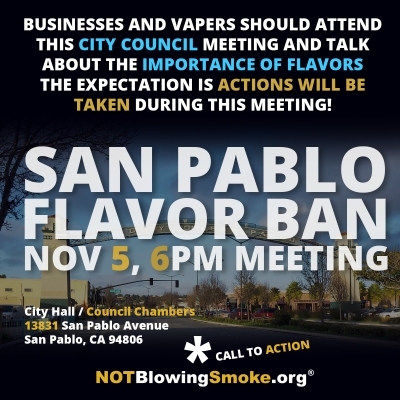 The City of San Pablo is going to continue the process of discussing the flavor ban ordinance at their November 5th meeting at 6PM. 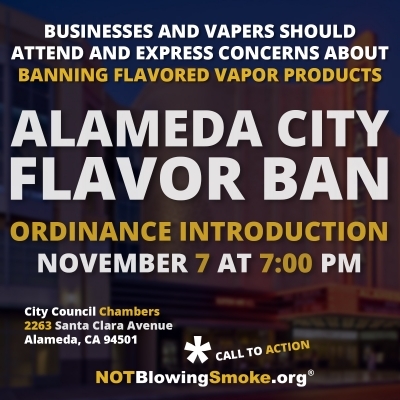 City staff is expecting that the City Council will be taking action on this item during this meeting so your presence and engagement is strongly recommended. The staff report and agenda will be published on the city's website by 6PM on November 2nd. Over the past two years, AATCLC has expanded beyond educational materials and charitable work. 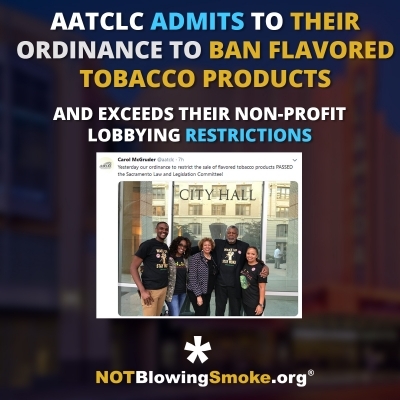 Ms. McGruder, on behalf of AATCLC, has openly asserted ownership over the recent effort in Sacramento, praising the Law and Legislation Committee's adoption of "our ordinance to restrict the sale of flavored tobacco products". It's been a while since this started and if you need to catch up a bit, feel free to examine the following posts on the subject. 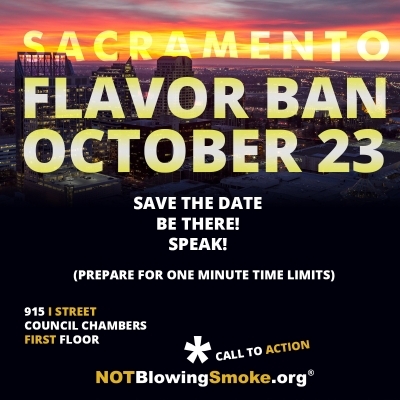 After the retailer meeting last month it's time for the proposed ordinance to be handled by the Law and Legislation Committee on October 23rd at 3pm. For those who want to catch up on the latest intel and information, need additional insights into talking points, etc. 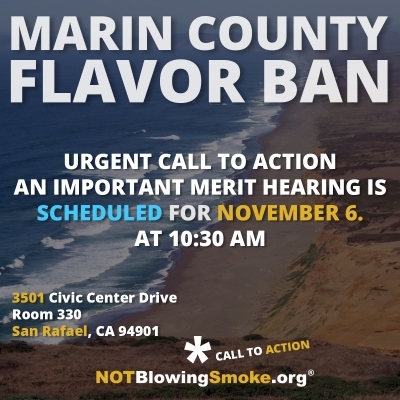 please get to the front of the building between 2pm and 2:15pm. 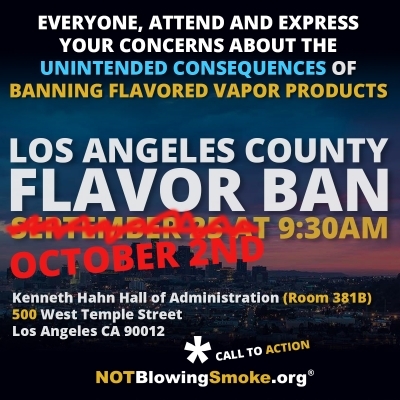 The Los Angeles County Board of Supervisors will be holding a meeting on October 2 at 9:30am to discuss directing the county staff to write a comprehensive tobacco control ordinance that includes a flavor ban component. 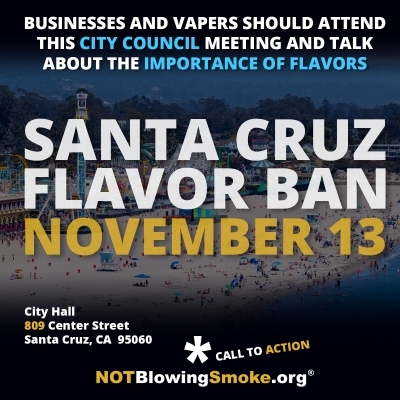 Not much to update on regarding the Santa Cruz meeting with retailers. Thanks to those who made it out there! Staff did not receive much direction on what or how to craft the ordinance (which can be good in a lot of cases since it means they are still open to additional input beyond today's short session. There's also no known timeline on when they would be done with it or even introduce it. 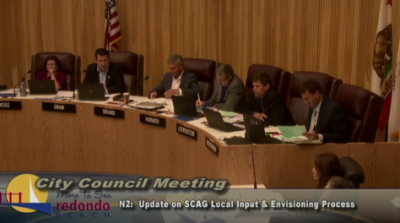 Redondo Beach Recap: City likely looking at directing staff to come up with a tobacco retail license (TRL) scheme but did not go into any details on parts of the not clearly defined desires for one. 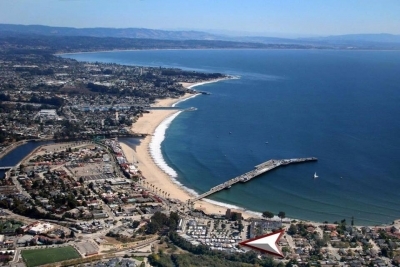 Redondo Beach goes back on the monitoring list to get our eyes on their proposed TRL language and our ears to the ground before it gets out of hand. 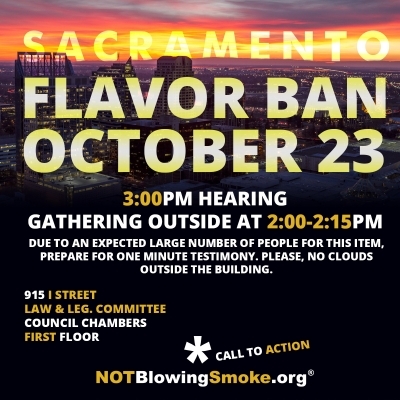 The retailer meeting between city staff and the tobacco and vapor retailers has just ended. Excellent points were raised by everyone and while there was a level of chaos in a meeting it was good to see about 100 people attending it to voice their concerns. The ordinance is currently drafted and will be proposed by the city as staff will be directed to finalize it on OCTOBER 23RD. 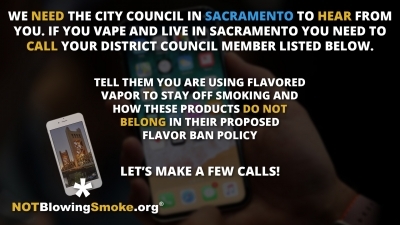 We need constituents to light up the phone lines and express their concerns about having to go outside of the city to purchase the very products that keep you from smoking. 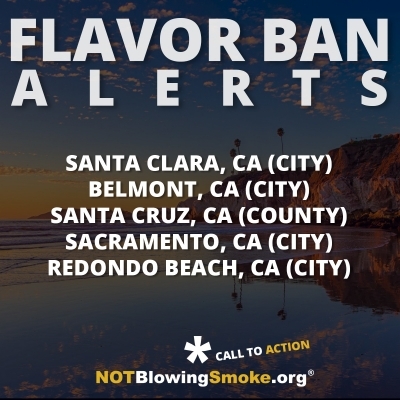 If possible we suggest you start making these calls starting tomorrow, Tuesday the 18th, as it will coincide with a meeting with retailers that will be going on.